The new NFC solution is designed to offer the same user experience — and the same level of security — whether a shopper is presenting a merchant with a physical card or making a remote ecommerce or mcommerce transaction. 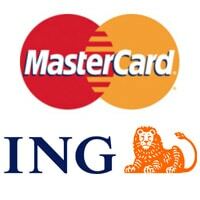 MasterCard and Dutch banking group ING have begun testing a new payments solution that uses the secure element in NFC phones to authenticate online transactions. The solution being tested in the trial supports two scenarios, one where the consumer is shopping online from their NFC phone and the other where they are using their PC or tablet to do their online shopping. Both scenarios make use of a MasterCard PayPass app stored on the secure element in the customers’ NFC phone, even though no use is made of the device’s short range communications capabilities. In the first scenario, consumers select the merchandise they want to purchase from the online retailer, select their payment method, provide shipping information and enter their PIN to authenticate the transaction. An EMV-compliant cryptogram is then generated by the secure element and sent directly to the merchant’s payment gateway for processing. The second scenario uses QR codes as a bridge between the consumers’ NFC phone and their PC or tablet. Here, consumers select items and place them in a shopping cart as normal. To complete the payment, they then scan with their mobile phone a secure QR code presented by the merchant. This then links the Mobile PayPass application on the user’s phone securely to the merchant’s online shopping cart. “This innovative mobile payment product enables ING to offer our customers a one-click-buy experience,” says ING’s Mark Buitenhek. “The trial allows us to explore which new type of mobile payments products and technologies will meet our client’s needs”. “This trial builds on our recently announced PayPass Wallet Services and our vision of delivering to consumers and merchants a secure, converged payments experience in-store, online or on a mobile device,” adds MasterCard’s Jorn Lambert. The trial began in mid-October and will continue until the first quarter of 2013. @nfcw Hmmm i wonder whose technology they are using???? Lyuba Petkova liked this on Facebook.